Things are not going as I would like them to at the moment, particularly when it comes to my creative pursuits (including this blog). So, I'm going to do a quick run down of some of the [many] films I've been watching lately. I make no secret of my literary obsessions and was intrigued by this new film about Charles Dickens' affair with the young Nelly Ternan. Fiennes takes on the role of the great writer with his usual skill with Felicity Jones (of The Worst Witch fame) in the part of Nelly. There was a lot to enjoy about the slow tension in this art house film and Jones' performance proves herself as an actress ready to take on mature and complex roles. However, my viewing companion was not so taken by the style, finding the pace slow and suggesting (rightly) that Nelly and Charles' relationship seemed underdeveloped. My main problem was with the narrative structure as we were introduced to Nelly some time after Charles' death and the scenes in that time frame seemed somewhat contrived for the sake of allowing revelations. Not a bad costume drama for a Sunday afternoon though and it might make you reassess your view of Mr Dickens. I should preface this by saying that I have not read the book by Nick Hornby on which this film is based. However, being familiar with some of the other film adaptations of his work and with it starring the delectable Aaron Paul, I was keen to give this a go. I was sorely disappointed. The idea of four people turning up on New Year's Eve to commit suicide is an interesting set up for a story and could have been done with so much more sensitivity. Instead we're left with a cast of cartoonish/underdeveloped characters with barely any depth or examination of the circumstances which led them to decide to end their lives. 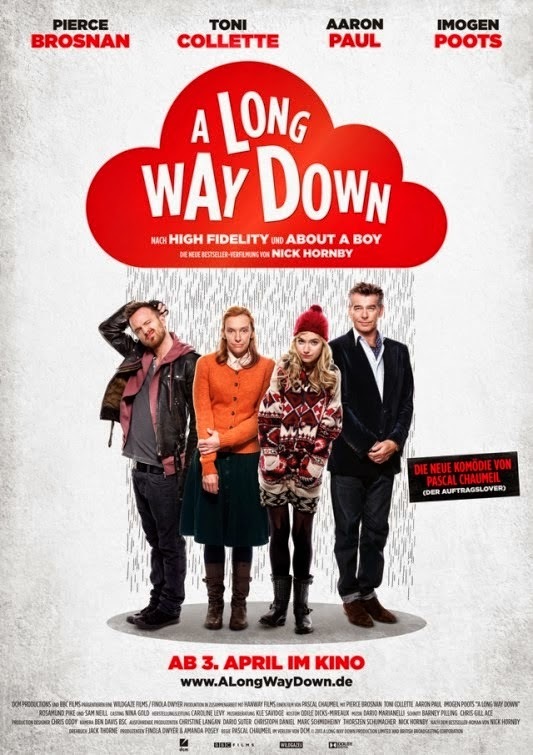 Pierce Brosnan plays the sleazy ex-con TV presenter, Imogen Poots is the wayward (obnoxious) daughter of an MP, Aaron Paul is a failing musician, and Toni Collette is mother to a severely disabled son. Where I'd hoped for the delicate comic/tragic line which is done so well in About A Boy the story was disjointed and largely not funny. Collette does her best with a dire script but I wouldn't rush to see this one. This is one of the best documentaries I've seen in a while. Exploring the deaths of several trainers at Sea World, the film investigates the treatment of killer whales by the company, and how they may be more culpable than they claim. I have never been someone who could imagine going to watch animals perform for humans, and the appeal of Sea World is largely lost on me. 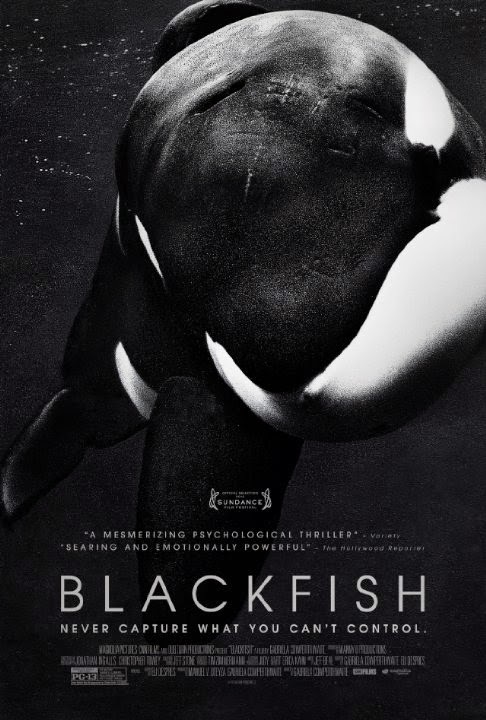 However, the film brings to light the horrendous circumstances surrounding the capture and care of these highly intelligent, sensitive creatures with a particular focus on the male Tilikum. With interviews with many ex-trainers, it soon becomes evident that the company itself has been reticent in what it shares with its employees, perpetuating myths about life expectancy and the condition of the whales. This is one I would highly recommend though make sure you have tissues to hand.